In LAN (Local Area Network) set-up, MS Outlook transfers information with Exchange server using Remote Procedure call (RPC). This is done with Transmission Control Protocol/Internet Protocol (TCP/IP). It is considered as a reliable network for any organization or enterprise. However, when users want to access the Exchange account outside organization's network, it requires a Virtual Private Network (VPN) connection. This connection helps users to access Exchange account when users are out of office like while travelling or at home. A VPN will allow a connection to the organization's network and inside its firewall with access to more services than email access. "Outlook Anywhere" is a facility provided by Microsoft Outlook for remote connection. It acts like an alternative to VPN connections allowing users to access Outlook as without any restrictions. It will not require any external connection or arrangement. This facility allows you to access Exchange account remotely using Internet when you are not in the organization. Microsoft Windows XP SP 2 or later Service Pack must be installed in the system. 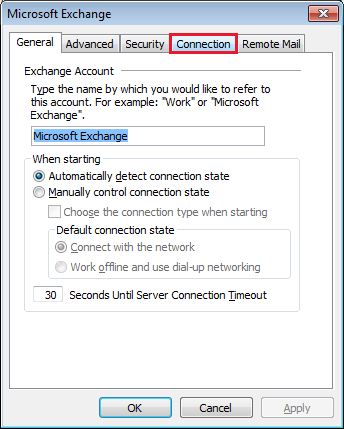 Exchange administrator should configure server in order to permit connections via HTTP. How to Enable Outlook Anywhere Facility? 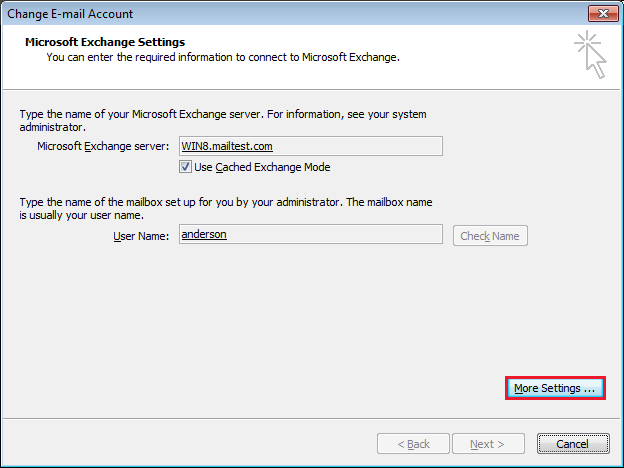 Exchange administrator can configure copies of Outlook or it provides a special executable script file, which enables "Outlook Anywhere". Manually this feature can be configured when these requirements are fulfilled. Users must have correct URL and security details also about the Exchange administrator. 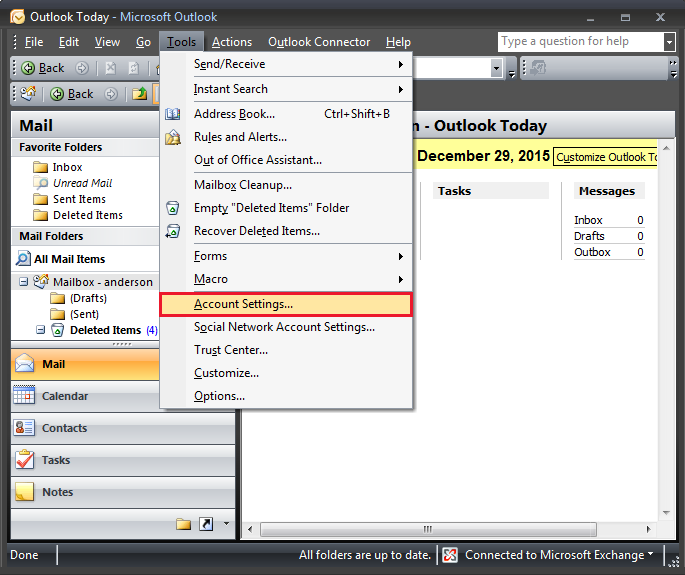 Go to the Outlook Tools menu and click on Account Settings. Select the Exchange account, and click on Change. Click on More Settings>> Connection tab. 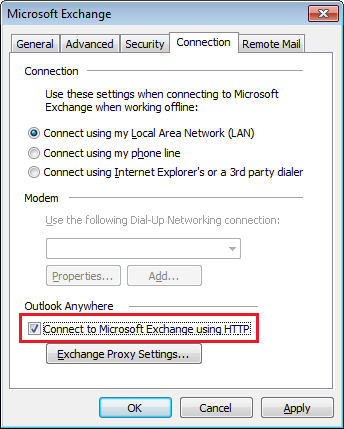 Now, under Outlook Anywhere, check the option of Connect to Microsoft Exchange using HTTP. If this option is unavailable, the system might not fulfill all the requirements. 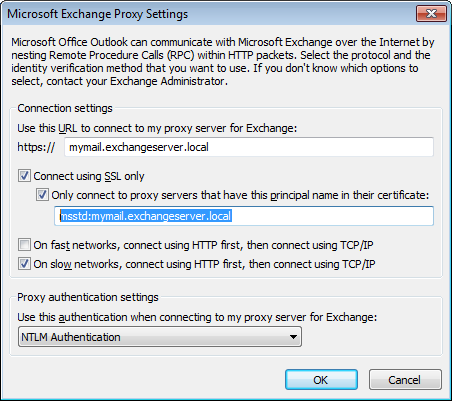 In order to specify the proxy server, click on Exchange Proxy Settings. Here provide the URL provided by Exchange administrator. Select Connect using SSL only if administrator informs you to do the same. In addition, if your administrator instructs you, select the Only connect to proxy servers that have this principal name in their certificate option. Then type msstd: followed by URL. In Proxy authentication settings, select Basic Authentication or NTLM Authentication. 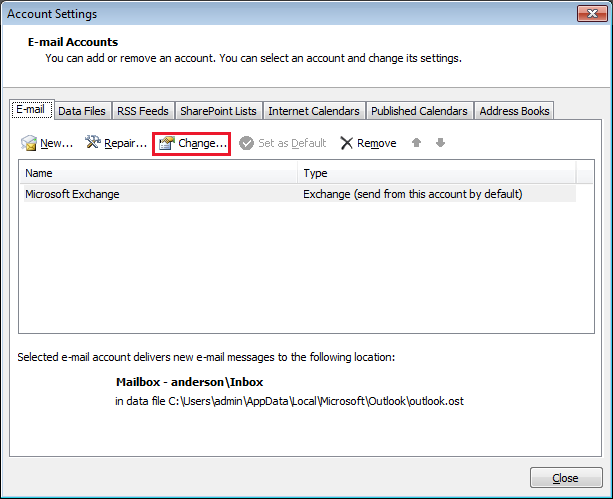 Outlook Always is a better alternative to VPN for Exchange account access. However, this feature works under specified requirements. 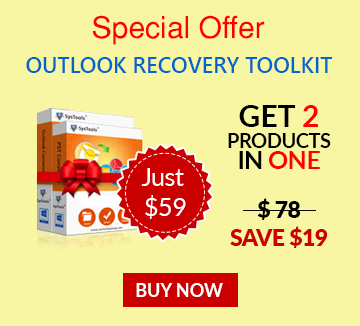 It works only on Microsoft Exchange Server 2003 or 2007 account. Other requirements also must be satisfied in order to take benefit of this Outlook Always feature. Otherwise, this feature will be disabled.